Champions League continues today. Here are the matches and where to watch them. After yesterday’s lone offering, which finished Constanta 27:37 Veszprèm (making it two from two for the Hungarians), today sees two matches in the EHF Champions League and three out of the four teams have realistic ambitions of progressing well beyond the group stages. All the matches are live on EHF TV and previews and links are below. Please correct any glaring errors in the comments. Minsk powered past Besiktas in their two-legged qualifying match but came unstuck in Berlin in the opening match of the main group stage. Zagreb, perennial visitors to the knockout stages, had a more comfortable opening day as they eased past Pick Szeged by opening up a 15:8 half time lead and having a relax in the second half. The Croatians will be looking for a bit more from last season’s club top scorer in Europe (and Zagreb native), Zlatko Horvat to overcome what might be a tricky match in Belarus. It would be a surprise if the result wasn’t a victory for the away team. This match between the top two in Group A is a properly enticing prospect. HSV won away in Spain in their opening match whilst the Russians were feasting at home on RK Partizan. Chekhovskie Medvedi reached the Final 4 in 2010 and presumably have designs on doing the same this year, as do the Hamburgers. The boys from the Bundesliga (2011 finalists – beating Chekhovskie Medvedi on the way in the quarter finals) relied on 9 goals from Hans Lindberg in their victory over Reale Ademar Leon and he was similarly important in their dramatic qualifying win over Saint-Raphael Var. Close him down and the Russians will be confident of winning but let him loose and it’ll likely be too tough an ask for them. It should be a great match whatever happens. A few gremlins prevented me from getting previews and reviews up for the remainder of last week’s matches. Suffice to say that things mostly went according to script on the court but that the Madrid-Kiel game didn’t really live up to the build up. The real major news came from France where Montpellier having performed well in Europe suffered a double whammy of having leading players arrested for betting against their team – a lot more on this to come later – and losing heavily to Paris. There’s a good chance the direction of the French title has already been decided. Being the only game today means we can all look towards Romania – although we need to look to the town of Buzau where the game is apparently being played which is some two hours drive across the country from Constanta. Veszprèm of Hungary top Group B after their ten point win over European lightweights former champions Lasko Celje whereas Constanta went down by a handful in Sweden. A win for the visitors will set them up nicely for qualification to the knock out rounds; the home side will find themselves under pressure after a loss especially as their next match is against Kiel. The points heading to Hungary seems the most likely outcome (the bookies have Veszprèm at 1/8 for the win). If, like me, you find your handball ignorance is showing you might also enjoy this link: it’s the Tactic Corner looking at the Flensburg v Montpellier game which finished 37:37 last week. The page also has Top 5 goals, saves and the like. Today sees the start of the 2012/13 Champions League main groups stages. The road to Cologne and the Final 4 starts here. All the matches are being shown online by Laola1 TV in partnership with EHF TV (there are local blackouts but none applies to the UK) and one game per week gets the full on MATCH OF THE WEEK treatment with commentary by Tom O’Brannaigain. This week’s MOTW is Atletico Madrid vs THW Kiel on Sunday. 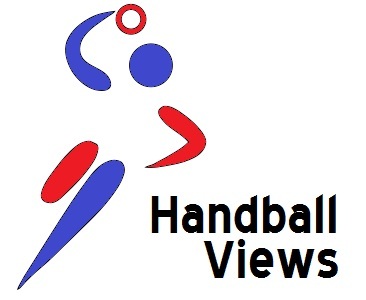 Handball Views has decided to cast its inexpert eye over today’s games. There are also direct links to the webstreams. Enjoy! Chekhovskie Medvedi made the Final 4 in 2010, the quarter finals in 2011 but last season, despite a positive points difference, could not make it past the group stages. They recorded four draws in their ten matches – all against teams that qualified. They are the dominant force in the Russian Super League though having claimed 10 domestic titles in the same number of years. The Serbs of RK Partizan (their team is entirely Serbian, that’s not just an expression) however lost all 10 of their matches and had to come through a qualifying tournament against weak opponents to make the main stages. We’ll go Russian with this one. Even without the minor matter of the French team being investigated for match fixing all eyes would probably be on this one. Montpellier have started the French season in scarily dominant form whereas Flensburg stuttered in their first Bundesliga challenge – drawing against HSV Hamburg (who are also in this group). But they’ve had 15 days to mull on that and tasted European success by winning the Cup Winners Cup last year. Whatever happens – and I have literally no idea – this should be a tough match although regardless of the result both teams should expect to qualify by beating their rivals in the division. Gothenburg’s finest take on the boys from Romania in Group B. They’re amongst the four teams battling for the remaining qualification places once THW and Atletico have taken their spots. IK got out of the group last year but lost heavily to AG Copenhagen; HCM Constanta are regulars in the group stages but don’t often make it beyond that and managed only 1 win from 10 in last year’s competition. Handball Views reckons it’ll be Swedish success tonight. These two teams met in the group stages last year with Barcelona winning both matches and there’s a reason why Barcelona are 1/10 with the bookies to win in Switzerland tonight. It’s because they’re much, much, much better. Schauffhausen will have to hope to not fall behind early and try to niggle their way to a result. But it’ll be a big Barca win.